The first day of school is always exciting for both students and teachers. 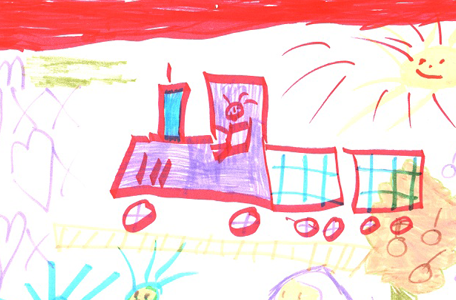 In fact, I still remember my first day of school as a kindergarten student! But the first day of school can also be very overwhelming. You will probably find yourself wondering: Do I have all the supplies I will need? Are my students going to feel welcome and at ease in the class? And most importantly, what do I wear?! On the first day of school, few factors are more crucial than being prepared! I’d like to share with you several techniques I’ve come up with over the past few years that really help me organize myself for the start of a new year. As your students enter your classroom for the first time, they need to feel at home. One of the best ways to help your students feel like a part of the classroom is to let them see that you’re including them! Create a bulletin board dedicated just to your students. Start with their names, and as soon as you can, add their pictures, too. 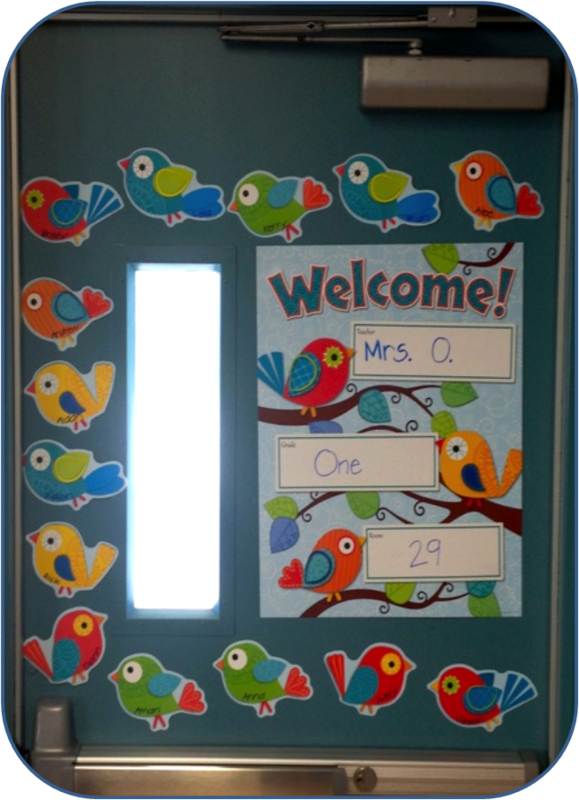 If you’re short on bulletin board space, why not decorate your classroom door instead? Pinterest is a great place to find ideas for decorating a bulletin board or a door. Just set up a free account and start searching! Since this board will stay up for most of the school year, you might want to laminate the nameplates so they won’t fade. At the end of the year, you can simply transfer the nameplates and pictures into a memory book for that year. As you set up your classroom for your new class, set aside a couple of large gallon-sized Ziploc bags to create “new-student bags”. Fill the bags with a personalized nameplate, classroom folders, and school procedures. Include whatever a new student may need, so that when you get a late arrival on the third day of school, you’ll have all the new supplies neatly organized in one place and ready to go! If your school requires students to bring their own supplies at the beginning of the year, you can organize those, too! Here’s how. Simply set up drop-off stations with boxes or bags clearly labeled with words and pictures so your students know where to leave their supplies for next time. This is a huge help – it saves you from spending extra time at the end of the day sorting through the whole class’s supplies. Let’s face it, wouldn’t you really rather take a nap right about then? When it comes to supplies like crayons, glue, pencils, scissors, you can choose to have your students share from one caddy per table, or else to use individual supply boxes. Either way, label each caddy or box with a table number or student name for easy organization. Store all the extra supplies in plastic bins with lids clearly labeled, so you can easily refill supplies when needed! One of the most important factors in arranging for a smooth first day of school is setting up clear routines. Make sure that you have a written schedule to give you something to follow. I always have a class schedule up on the board to for my students to use. Because many of my students are not able to read when starting kindergarten, I also provide visuals to help them understand the schedule. The first week of school is the time when you set your standards and expectations for the rest of the year. Make sure you teach your students exactly how you want them to enter the classroom, how you want them to sit on the carpet, where to hang their backpacks, and even how to ask to use the bathroom! Practice these routines several times a day for several weeks, and revisit them often! Give your students a tour of the classroom and the school to help them get acquainted with their surroundings. Teach them the expected behaviors in each environment. A fun way to do this is through songs and rhymes. Heidi Butkus, creator of Heidi Songs, has a fabulous classroom management CD that my students just love. The first day of school can be scary. It may be the first time your kindergarteners have ever been away from their parents for an extended period of time. Well, it’s hard on moms and dads too! If your school allows it, one of the best ways to ease everyone into the new environment is to invite parents into the classroom on the first day. Include them on the same tour of the classroom that you’re giving your students. Limit this time to about an hour of the day. Be forewarned: as the parents are leaving, some of your students will cry! One way I have found to help minimize the tears is to have stuffed animals around for the students who are feeling sad. They can hug a stuffed animal and carry it around for comfort. Eventually, they will be so engaged by all the fun activities in kindergarten and by all their new friends, they will forget to cry! 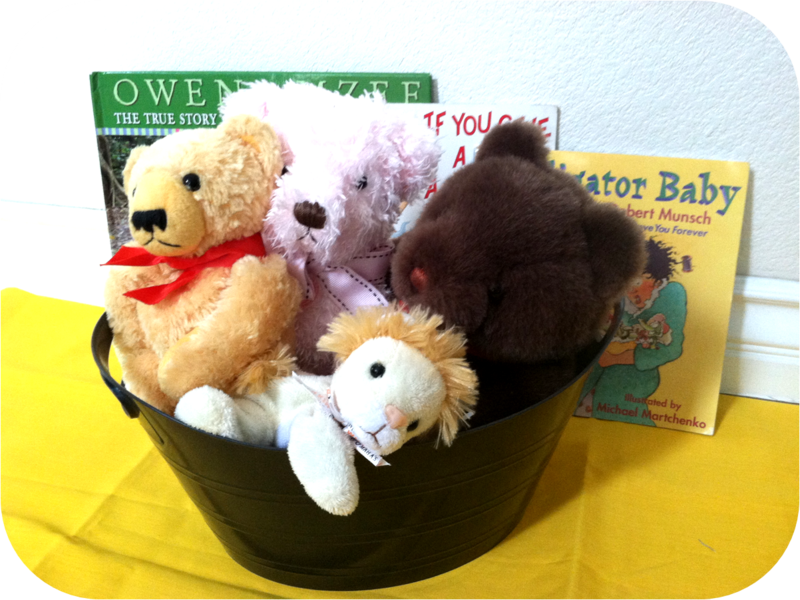 You can organize the stuffed animals in a large bin or plastic laundry basket and keep them in your reading corner. That way, the students can continue to use them throughout the year as reading buddies, too. There are many ways to get organized and be ready for the first day of school. I hope you find these tips helpful. There’s just one item left to think about. Now you just need to find something cute to wear! One of the most important factors in arranging for a smooth first day of school is setting up clear routines.